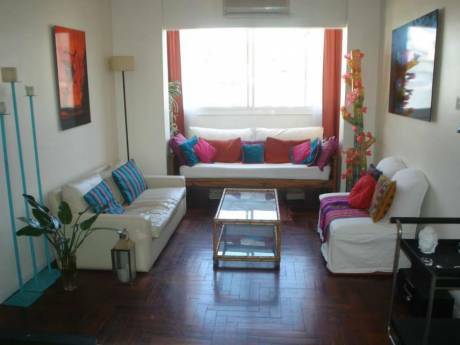 Centraly located 2 bedroom triplex with very nice terrace in Buenos Aires. It is an apartment but seems like a house! 2 bedrooms apartment, 2 bathrooms (one full and another one with a shower), living room, one study or tv room (with 40 in. Sony Led Tv, Mac mini, Blue Ray and lots of movies and books) and a comfortable kitchen (with large refrigerator and freezer, professional Ariston oven, 2 extractors, Ariston dishwasher and very well equipped to cook). The kitchen it is incorporated to the living room and it has a 24 in. Led Tv, a Bose Soundock and an Apple Tv to play movies. The main bedroom is on the first floor right next to the main bathroom. It is quiet since it has best windows to keep noise out. It also offers plenty of closet space. The second bedroom it is facing the terrace and it has a great and modern sofa bed for 2. The apartment is on a first floor, no elevator. It has wooden floor, fireplace, a small balcony and it has been refurbished recently. We also offer twice a week, 2 hours per day, cleaning service. The terrace offers a bbq, a small fridge with a wet bar and lots of relaxing posivilities including a nice and big hammock. We also have many many plants and flowers! 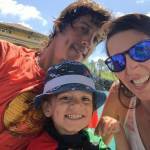 We are a young and recently married professional couple with 5 year old son. We love to travel and get to know new cultures and people around the world. My wife works in a public office. I own a travel company but I am fully dedicated to landscape architecture. Anyway I will help you out to organize your trip or I can give you many tips if you like. We really take much care of our home and we will do the same with yours. We already had 6 wonderfull exchange experiences! The area is called Barrio Norte and it is right between Recoleta, Plaza San Martin. This is a great neighborhood! 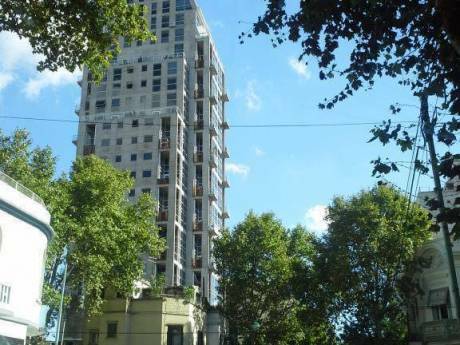 It is located in a very central and convenient location if you are planning to walk through out Buenos Aires. It is 2 blocks from the metro, close to many bus stops, 6 blocks from the famous Colon Theatre ( http://en.wikipedia.org/wiki/Teatro_Col%C3%B3n ) and many more atractions. Cementery (where Evita is burried) or Plaza San Martin area. 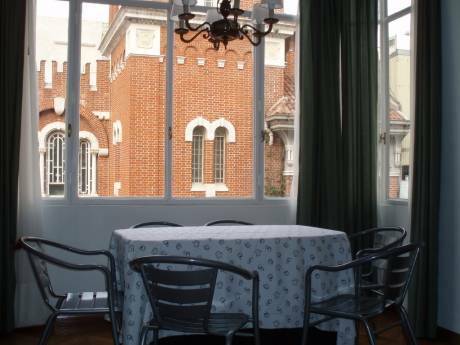 20 or 25 minutes walk to get to the city centre or Puerto Madero! A 15 minutes metro/subte ride to get to Palermo, the historical center, Puerto Madero or 20 minutes to San Telmo. There are 2 coffee shops in the same block, many great restaurants around and a small market right next door. Laundry place right across the street and a Mini Carrefour market 2 blocks away. Restó, Piegari, Bar Norte & El Cuartito Pizza. Milion, Ponny Line, Sky Bar & Antares. Cafe Tortoni, La Biela & Los Angelitos. Av Santa Fe, Patio Bullrich, Galerias Pacifico & Florida St.
Plaza de Mayo, San Telmo & La Boca. Recoleta, Centre, San Telmo & Puerto Madero. Tigre, San Isidro & La Plata.